Welcome to Deal & Deliver for Your Life Teleseries! Also available in the languages below. Click on your language to purchase. 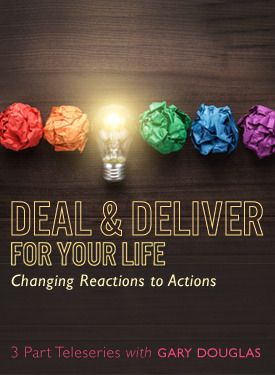 What is Deal & Deliver for Your Life Teleseries? With this telecall, I would like people to understand the things they're not getting about deal and deliver and address people’s unwillingness to see where they don't understand this topic. Some people act as if they understand deal and deliver, but they actually don't. People should be having more awareness, not less. The gift of deal and deliver is that instead of having 'foggy' areas in your life, you have clarity. You get to know what's actually true for you and true for the other person. You don't go into anything from the point of view that leaves you with less than possibility. Most people come to conclusion, thinking that if they can come to enough conclusions, then things will work. Unfortunately, more conclusions do not lead to more workability. More conclusion just means more conclusion. When you are not committed to your life, no one else will let you be committed to your life either. You want to get the difference in the point of view you can have, not the limitations that a point of view will give you. How do you get clear on the deals in your life to truly create? Upon ordering, a delivery email with download instructions will be sent to you so that you may download your files. If you log in prior to purchase you will also be able to access your downloads from your account dashboard.